We aren’t sure why you’d ever find yourself at the corner of 6th & Berks, but if you do, you’ll quickly notice something a little out of the ordinary. On the southeast corner stands a relatively new two-story building that strongly resembles a barn that was designed by a contemporary architect. Yet there are no cows to be seen for miles. What gives? Ah, how quickly you forget. We told you about this building a couple years back, when this parcel was home to nothing but a new foundation. 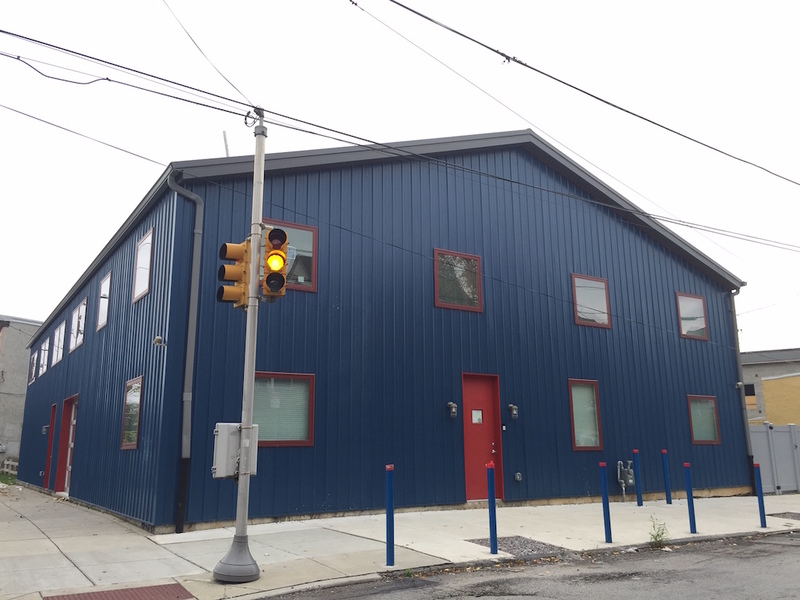 More specifically, we explained that the building would serve as both home and studio to artist John Dowell. Dowell is an art professor at Temple and has done some amazing cityscapes of our fine city. Who can blame him for wanting to set up shop on this corner, where he would buy land at a relatively low price and build his dream barn, er, home. Plus, it’s relatively close to school but probably a little too far away for students to move in nearby. At least that might have seemed like the right idea when he purchased the property back in 2014. But things are changing quickly here, near the border of South Kensington, and market rate development is making its way to this very block. 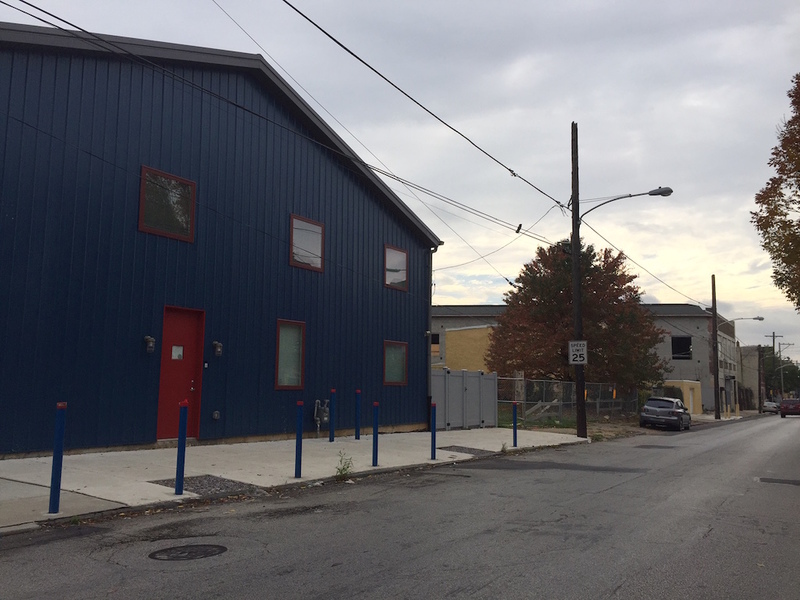 Last year, developers got a variance to build a trio of quadplexes at 1839-43 N. 6th St., a little to the south of this building. 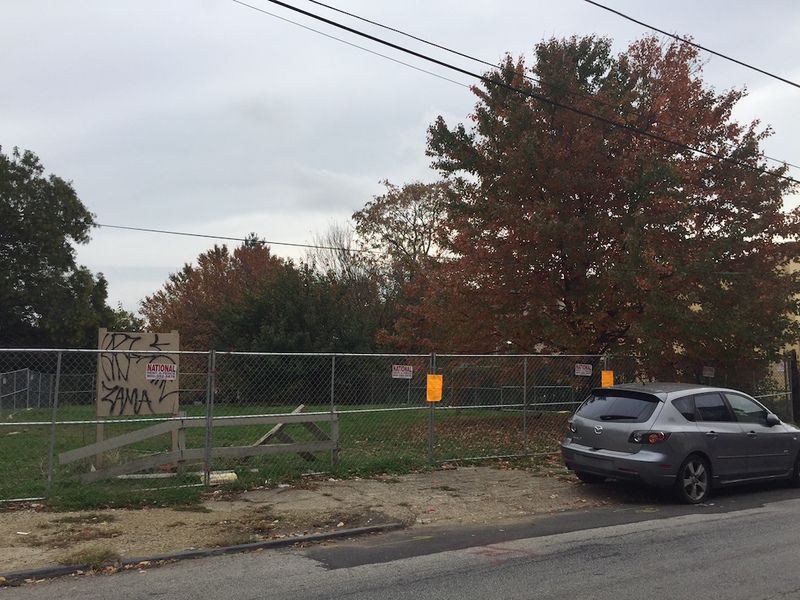 Now, developers are looking to build a nine-unit building at 1845 N. 6th St., which sits immediately next door. Assuming that project eventually gets approval from the ZBA, this block will gain 21 new units, all of which we suspect will be marketed toward Temple students. And not for nothing, but that’s a pretty sizable pocket of student housing development and it could encourage other developers to consider this immediate area for additional units. At the very least, this corner will soon feel much less isolated than it does now and has for a long while. To put it another way, Mr. Dowell might want to invest in some earplugs in the near future, or maybe a white noise machine.